A good poster usually tells a story with a single image. This one uses nine snippets of images to tell its story of the emotional ups and downs of two people. At either side of the design the characters are alone, in darkness, and in pain. In the center they are together, their world is brighter, and they are happy. One can read the order of emotions either way. Do they begin in happiness and end in despair or is it the other way around? Guess you need to watch the movie to find out. 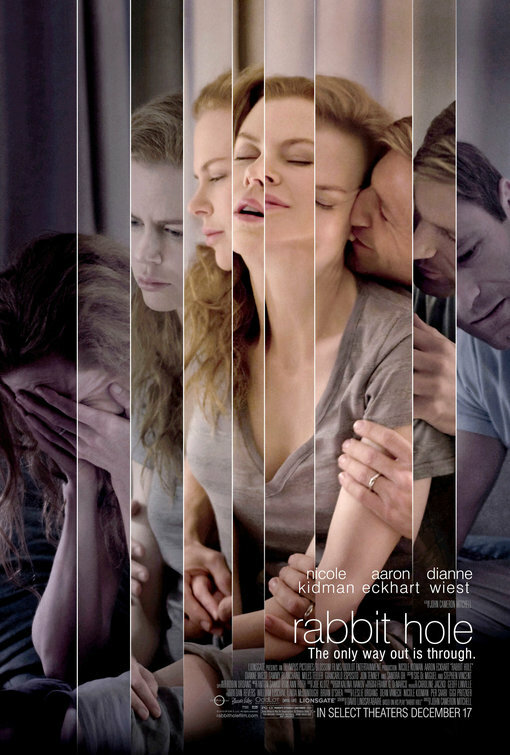 Regardless, it is a very intriguing poster that is equally beautiful and disturbing. Our pick for the best movie poster of 2010.